The argument presented in this article is that highly productive workplaces can be inclusive, and purposefully built to produce the goods and services demanded by customers. A socio-technical system approach can be inclusive in terms of talent and technology and is subject to deconstruction. 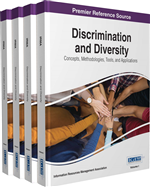 The characterization of diversity can be made in at least two ways: based on the attributes possessed by the employees; and racial composition of the workforce. A co-constructed competency model can be applied to understand the nature and description of prevailing cultural conditions to effectively engage people to be more productive. An inclusive circle of deeply involved people can design and support the necessary change and generate the synergy, techniques, and the heuristics, to increase productivity. This paper answers the following questions in four objectives: Is it possible to increase productivity in diversified workplaces? How can a sociotechnical system engage people to be more productive? The first objective offers an introduction to the discussion which will be followed by a definition of some of the key terms. The second objective reviews prudently selected literature about productivity in diverse work environments. This review enables the deduction of the notion that the collective performance espoused in focus groups generate the synergy to impact productivity. The third objective examines the application of positive psychology in advancing organizational efficiency and effectiveness. The last part proposes a sociotechnical systems (STS) model to increase productivity in diversified organizations.